On Wednesday 10 April at 1:15pm Chris Watson will present and deconstruct some of his work in the Chapel at WIT College Street Campus. Although you may not be familiar with the name Chris Watson, you are likely to have heard his work. 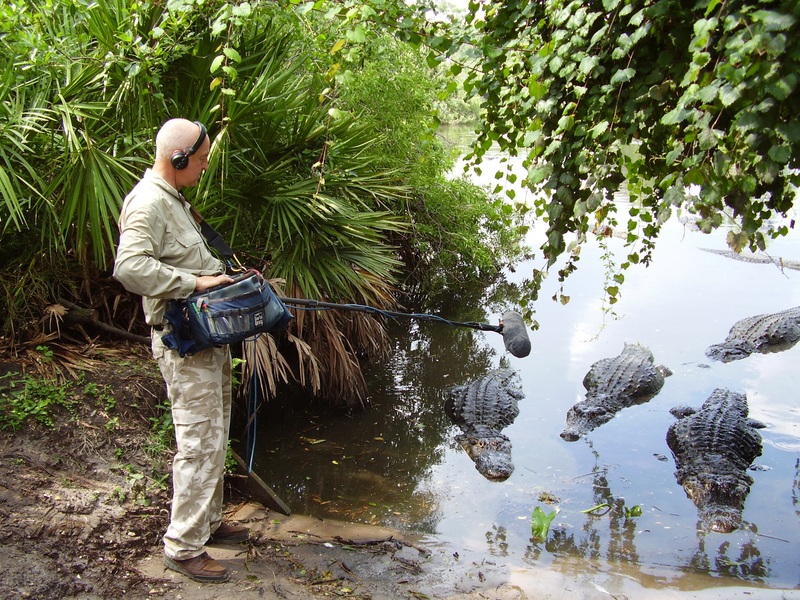 Watson is the sound recordist responsible for capturing the animals and atmospheres that breath life into many of David Attenborough's enthralling BBC wildlife documentaries. Watson has received BAFTA awards for his work on both 'The Life of Birds' and 'Frozen Planet'. On Wednesday 10 April, Chris Watson will be visiting Waterford to present and deconstruct his work in front of a live audience. Watson's fascination with sound began as a teenager when he started recording birdsong, and his passion grew further when he got his hands on a hydrophone (underwater microphone) that enabled him to explore a whole new world of sound in the sea. The sounds of limpets grazing and the crackling noises made by shrimp captivated him so much that he made sound recording his career. Fast forward a few decades and that fascination is still evident in Watson's work. One story he tells is of 'fishing for sound' on the Norwegian archipelago of Svalbard. He cut a hole through the iced over sea and lowered a hydrophone in the water. He describes what he heard in his headphones as haunting and beautiful singing that was almost operatic, and in the range of human voices. He was enchanted and mystified by the sounds. After much searching and inquiry he eventually identified the sounds as being the song of bearded seals who were more than 20KM away from his fishing spot. One of the most disturbing sounds that Watson captured are the sounds made by hyenas and vultures as they rip the flesh from the body of a dead zebra. He placed his microphones inside the carcass of the dead animal, enabling him to record a most unsettling and nightmarish sound world. The microphones he used for that job were later used for recording political debates in the House of Lords, a whole different type of beast. Chris brings a musician's ear to his recordings and talks; he was a founding member of the experimental music group Cabaret Voltaire. His album 'Weather Report' was voted one of the 100 best albums to hear before you die by The Guardian newspaper. He has received the Paul Hamlyn Composers award and was appointed Handel Music Fellow for the Foundling Museum London in 2014. This event is presented by WIT's Department of Creative and Performing Arts BA Music Course and the Higher Diploma in TV Production, Nemeton TV. This event is free for WIT students, with a limited number of tickets available on the door for members of the public for a suggested €5 donation.